Think of who might have been the first to think of something or do something important. That’s a tougher standard than might be immediately apparent. So let’s wrap this up with a ‘cambrian explosion’ of styles, where the photo essay was codified, scrapped and rearranged in a score of different ways, the portrait took on a whole new meaning(s) and what we reveal of subjects is less rigid. This is a period where photojournalists take the mandate of documenting the world and interpret it personally. This is the toughest list to assemble because the farther you look back, the easier it is to spot the innovators and revolutionaries. Sometimes it takes the length of a career to see what changes or new ideas a photographer brought to the profession. I’ll be conservative in naming people or groups here, but that doesn’t mean you can’t chime in. Drop a name or two in comments, with a few sentences about what he, she or they did to change the face of photojournalism. Simply add boiling water. © Estate of Arthur “Weegee” Felig. Weegee — If being a newspaper or wire photographer was “feeding the machine” as has often been said, Usher (Arthur) Fellig fed it the morsels with the most gristle. As a freelance New York crime photographer in the 1930s and 40s, Fellig earned the nickname “Weegee” for his uncanny ability to beat the cops to a shooting. They assume he had his fingers on a Ouija Board to get there. 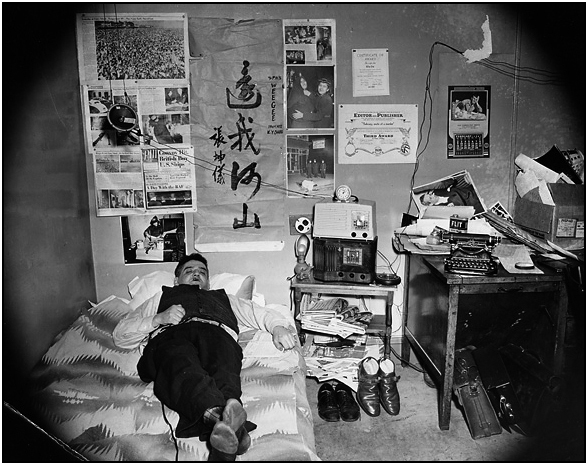 In reality, he had a police radio in his car with a darkroom in the trunk, lived in the center of the crime in Hell’s Kitchen, and ran on the motivation of a paycheck. He was one of hundreds of Speed-Graphic-wielding freelancers plying the same trade, but Weegee had a rare sense of humor and irony in his images of New York’s underbelly, and Barnum’s penchant for self promotion. He was the star of a particular way of working that still includes many hot-spot-hopping freelancers and wire contributors. But he is the one that got the MOMA and ICP exhibitions, and yes, he would have pointed that out to you. 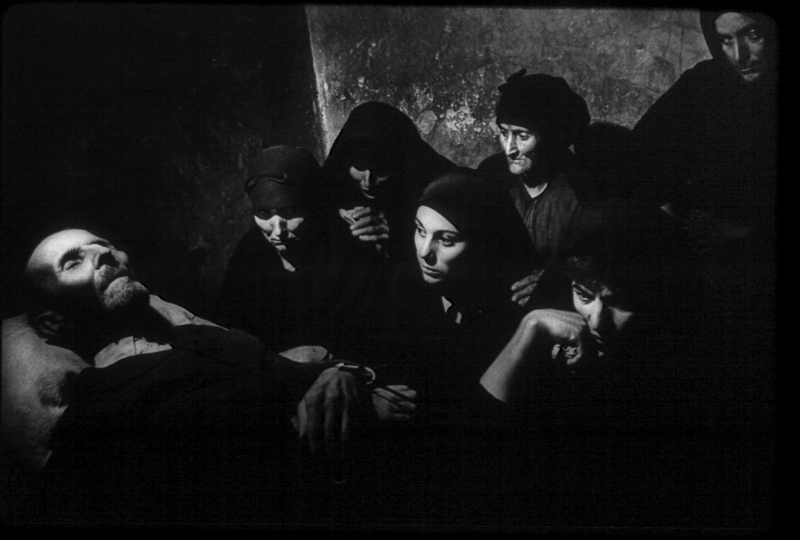 Magnum Photos — Magnum Photos is not the first photojournalism agency, nor the first group of photographers to coalesce. Magnum changed the idea of the ownership of images, insisting that the copyright of the work remained the photographer’s property. The prominence of the photographers who founded it — Robert Capa, Henri Cartier-Bresson, David “Chim” Seymour and George Rodger — gave the cooperative and its subsequent members the leverage to change business practices in the profession of photography for the better. It remains the preeminent photojournalism agency, and the style of its members has influenced every subsequent generation of photographers and photojournalists. W. Eugene Smith — Smith had the news sense of Alfred Eisenstaedt, the understanding of combat of Capa and the technical polish of Walker Evans. He is also our model of obsessive-compulsive, irascible and addicted artist of the real. But his greatest contribution was in the redefinition of the photographic essay. In 1949 he broke with LIFE’s script for a photo essay on a country doctor in Colorado to photograph what he saw (and a little of what he wished to see). 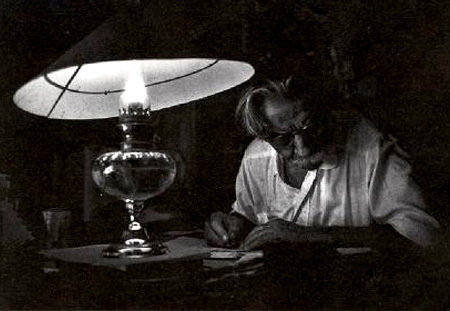 That essay and subsequent ones on Dr. Albert Schweitzer and nurse-midwife Maude Callen reshaped the way we approach the long form of photojournalism. 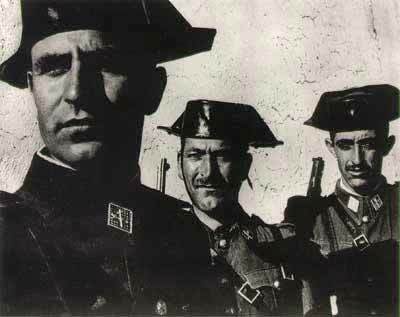 An essay on a Spanish Village under fascist rule is arguably the template National Geographic has followed since for covering a place. His last essay on mercury poisoning in Minamata, Japan, is one of the most powerful and complete reportages on the environment ever published. And his failed essay on Pittsburgh at mid century is one of the most beautiful, compelling and epic failures of the profession. He was also a compulsive audio collector, amassing thousands of hours of documentary sound from a New York City loft from the late 1950s to the early 1970s. His personality was a cautionary tale for how to act and how not to act, but his essay work will echo for the foreseeable future. Robert Frank — While Smith was crafting the public, mainstream photographic essay for LIFE and Magnum Photos, Frank was creating a model of the personal photographic essay. On a Guggenheim grant in 1955, Frank crossed the U.S. photographing the world’s foremost power with the eyes of a foreigner. The Americans was an overtly critical look in the mirror for most Americans and flew directly in the face of Steichen’s contemporaneous Family of Man. Walker Evans was one of the few who saw the value in the images. “It is a far cry from all the woolly, successful ‘photo-sentiments’ about human familyhood,” he wrote. Where Smith’s stories may assemble virtual bullet points in the images chosen, Frank’s are personal, subtle and tease the emotions of the reader. Smith’s images were about the emotions of the subject. Frank’s work has influenced the craft as deeply as Smith’s and his approach has emerged in the work of others from Larry Fink to Danny Lyon, Garry Winogrand, Lee Friedlander, Bruce Davidson and probably you. He is an artist, poet and filmmaker, and says he lost his Leica in 1962 and didn’t mind. William Klein — If Frank’s work was about the distance and ennui of American society, Klein’s poked your nose and boldly stated that New York is Good and Good For You. His 1956 book by that name grabbed you by the shirt and dragged you into the streets of the city at close range, with very wide-angle lenses in a way that wouldn’t let you escape. Klein took that energy into the fashion world where he and a few others created the look of fashion images in the 1960s. Elliot Erwitt — I once sat at JFK with a fresh copy of Erwitt’s Personal Exposures catching the annoyed glances of fellow air travelers because I could not contain the out-loud laughs as I paged through the book. 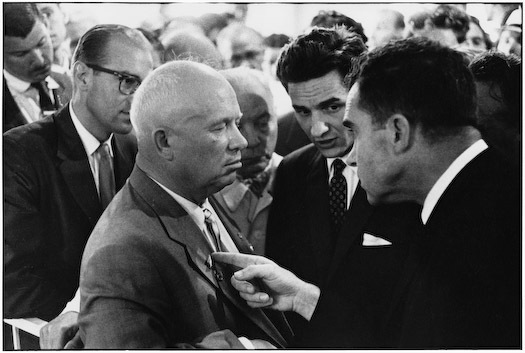 As a journalist Erwitt is incisive, catching one of the iconic moments of the Cold War among others. But he is most notable for an irrepressible humor in his images that has never — to my knowledge at least — been matched by anyone. His work is a stream of dry and witty jokes, slapstick humor and uncanny timing. Ron Galella — In class I often ask new students if they would consider the paparazzi to be journalists. There is no genre of documentary photography more maligned than those who chase celebrity the way Weegee chased murders, and the students’ responses reflect that viscerally. But if the moment be real, I argue, what’s the difference? The idea of doing it still makes my skin crawl, but I have to admit that it is the journalism of the low-brow we all crave from time to time. The granddaddy of these used-car-salesmen of the profession is Ron Galella, the paparazzo who would not let Jackie O out of his sight, resulting in lengthy legal battles. In one case he was given a requirement to stay 150 feet away from his favorite subject. The second required him to stop photographing her for life. Marlon Brando punched him in Chinatown. Sure, there were celebrity-following camera jockeys long before him and will be as long as there are celebrities. But Galella took dauntless obsession and anything-for-the-shot to new heights (or should that be depths?). 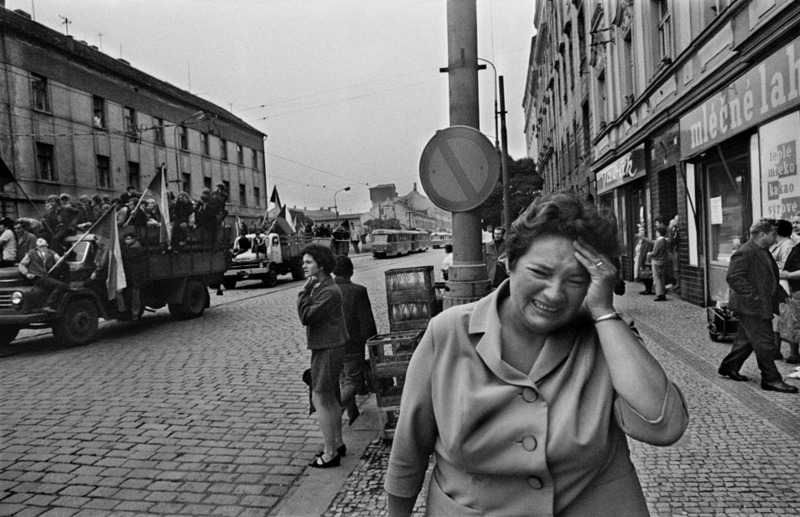 Josef Koudelka — There are a few regions where reality and magic blend in the eyes of artists and the words of poets. Latin America and Eastern Europe have both produced remarkable photographers whose work reflects the magic realism of Borges, Márquez or Llosa. If I knew eastern European authors I would include a few of them in simile too. 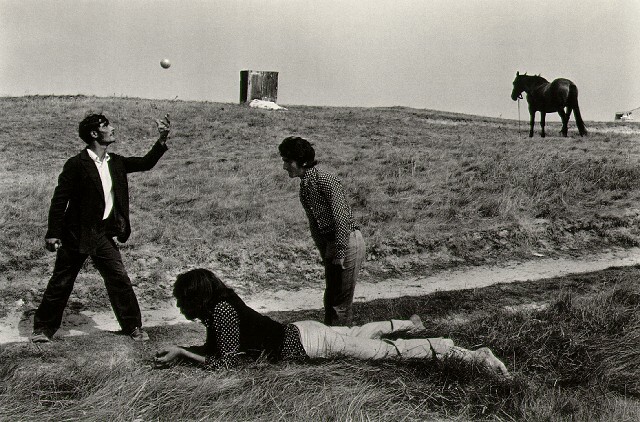 His images of the rituals and lives of Slovakian gypsies are infused with the magic we imagine in their lives. They are intimate images the way Frank’s are, but the emotions come not just from the photographer but seemingly from the subjects themselves. And his work on the Soviet invasion of Prague in 1968 demonstrates a bravery fictionalized by Milan Kundera in The Unbearable Lightness of Being. Sebastião Salgado — He began his professional life as an economist for the International Coffee Organization but soon drifted to photography through which he has documented the social and political circumstances of the people most directly affected by the production of that and other commodities. This is firmly in the traditions of Riis, Hine and the FSA among others. But what makes Salgado’s work different is a fusion of the magic realism of Álvarez Bravo or Koudelka combined with the compositional complexity of Cartier-Bresson, and a skill for revealing the dignity in his subjects, no matter their circumstances. Street kids, Seattle. © Mary Ellen Mark. Mary Ellen Mark — Many photographers have relished photographing subjects at whom you might like to stare — Richard Avedon’s In the American West, Diana Arbus’ work — but Mark developed early a style that blends social documentary with the made-you-look quality of subjects on the fringes of society. You may sometimes be shocked, but you never want to turn away from her empathetic stories. Arnold Newman — Until the latter half of the 20th century, the posed, formal portrait was as much about vanity as it was a document. Portraits reflected the Old Masters in style and composition more than they really illustrated the life or personality of a subject. Perhaps the greatest practitioner of the environmental portrait was Arnold Newman, who could coax personality from a subject and reveal it in a telling environment better than anyone. There have been portraitists who have lit better, composed better, been more stylized and flashy, but few have taught us so much about the subjects themselves. 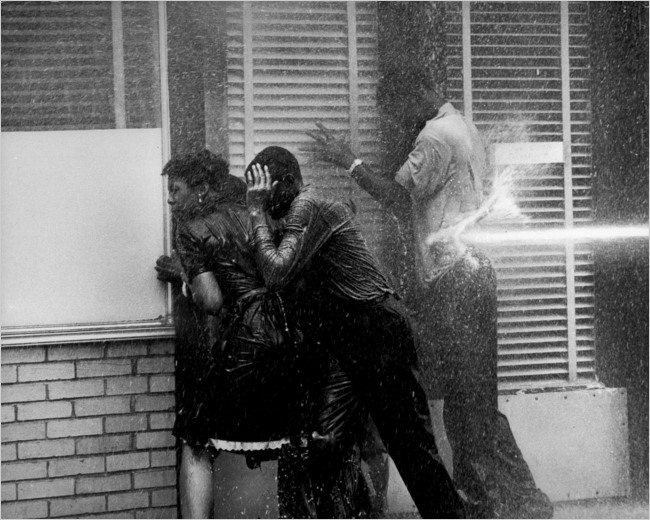 Birmingham, Ala., 1963. © Estate of Charles Moore. Charles Moore and Peter Magubane — Few Western photojournalists ever find themselves covering strife and revolution in their own backyards. Both of these men — Moore in the American South during the Civil Rights Movement and Magubane in South Africa under Apartheid — photographed their own cultures, neighbors and backyards in upheaval. 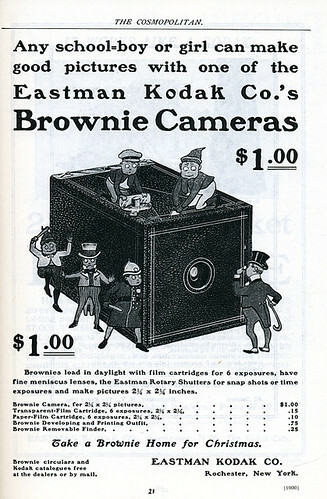 It is always more difficult to photograph one’s own world than it is to photograph the foreign. These men, and others like them such the “Bang Bang Club,” Micha Bar-Am and others in similar circumstances have had to turn the cameras onto their friends, neighbors and families to tell the story of a revolution, and in the process created documents that explain deeply from within the story itself. 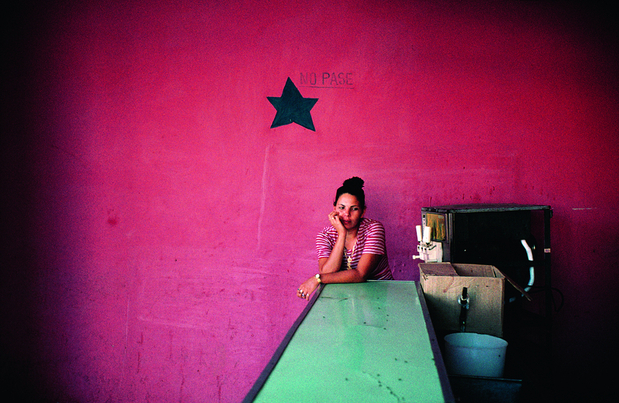 Ernst Haas and Alex Webb — Color photography has existed since the beginning of the 20th Century, but it did not reach maturity until color print reproduction was common and affordable in magazines. Until Haas and Webb, color was a secondary element in a photograph — more detail, more reality but less so an element of design. 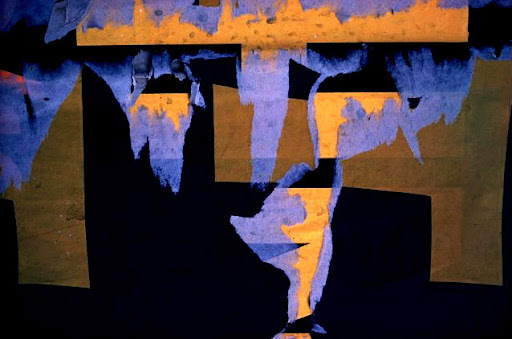 However Haas made color a principle element of mood and emotion, and Webb uses it as a structural element of composition. For both, color was as primary a reason to make an image as the moment in the scene, the social or historical significance or other graphic elements of the photo. They see color better than their predecessors. Annie Leibovitz — Whereas Newman was out to find and photograph the person behind the celebrity, Leibovitz developed a style in the 1980s of photographing the celebrity in front of the person. Her subjects reveal not their innermost selves, but the crafted stage persona they have all developed and that is the source of their fame. And like many styles and approaches, Leibovitz has been emulated with failure more often than success as many photographers strive for stylization over substance in portraits. In addition to the portraiture, Leibovitz also revolutionized the way we document celebrity behind the scenes with her complete access following the Rolling Stones in the early 1970s. And who comes next? I see trends away from the crisp realism of the last century toward an edgy, blurred point of view that feels like the pictorialists taking on the subject matter of Lewis Hine or Robert Frank. Who is the progenitor of that mood or another possible shift in how we approach our craft or profession? I am just one opinion with one knowledge set. You tell me who comes next. Please note, most images on this post are linked directly from the originating sites rather than downloaded and republished. Please forgive any dead links.